My main goal was simply to finish. I won’t say I didn’t want a podium spot but I still felt the sting of my DNF at Bandera so most important to me was finishing my first 100k. Normally I set time goals throughout my races but since this was a new course I had no data from which to formulate my goals. 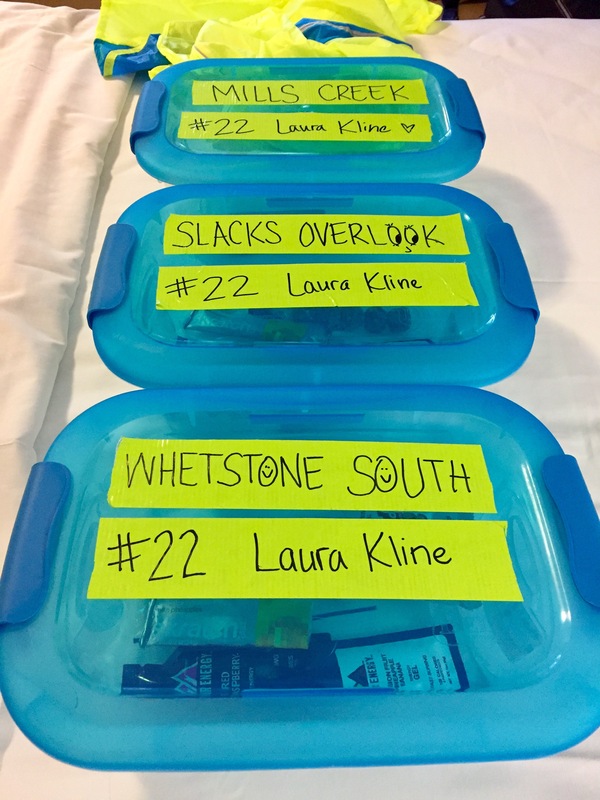 This was a “go out and run” kind of race and I welcomed this lax mindset – I took a lot of pressure off myself. 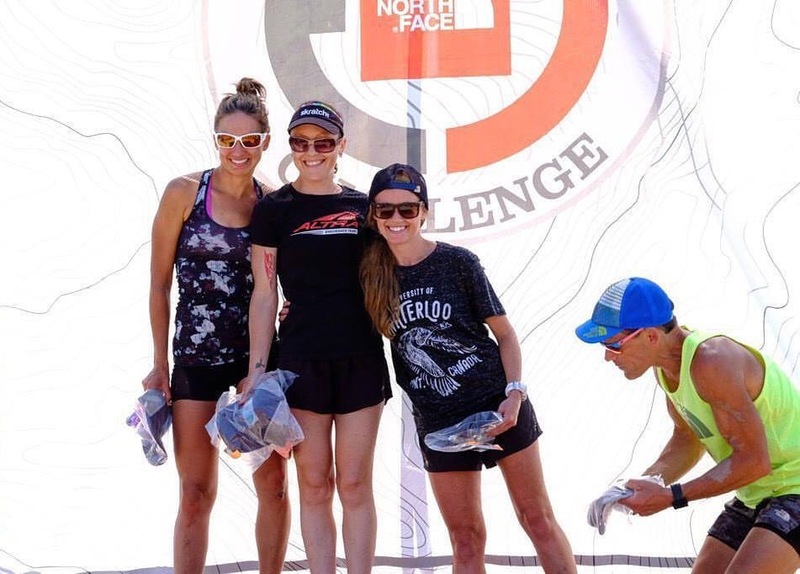 I knew who my main competitors were, and relying on my race style thought I would be racing in 2nd place most of the day before getting caught (but hopefully not getting caught). 6.8 miles to the first aid station consisted of gradual climbing on a mix of paved and gravel/dirt roads. It was a great start to the race. There was no need to jockey for position to get onto the single track, and it provided the perfect warm-up for the legs. 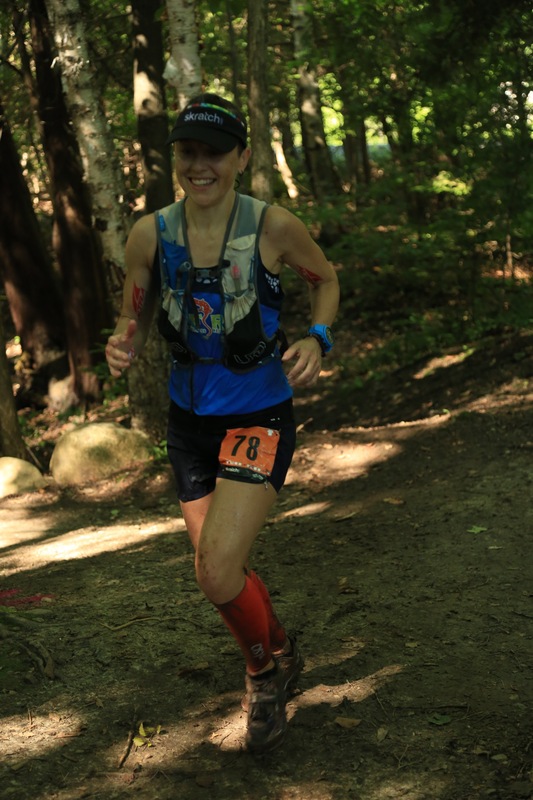 After the aid station it was onto single track and I was excited for the trails. The next 8 miles contained rolling terrain with some technical spots and some nice climbs to prepare you for the day ahead. The miles were still ticking off quickly and I was feeling great. The course was exceptionally marked – I don’t think they could’ve done a better job. But that doesn’t mean I didn’t go off course around mile 15. There was an intersection, and a flag to mark the intersection, but instead of looking for the flag on the turn I bombed straight through it and ran a good 90 seconds before realizing I didn’t see any “confidence markers”. I stopped and turned around to look for the guy who had been close behind me. He wasn’t there. So back I went and sure enough there was the flag on the trail I was supposed to turn on. Of course I panicked for the time I just lost with that error but I reminded myself that it was very early in the day. This was a theme I repeated to myself multiple times throughout the race. From there we had a 3 mile descent to the lowest point of the course where we would turn around and retrace our steps 11 miles back to the 1st aid station. This was a very tight spot for 2-way traffic but it was exciting to see the race leaders coming through. Mocko and Jorge were running together chatting like they were out on a training run. Soon after was a steady stream of men taking chase. Amanda was making her way up – all smiles and looking strong. It wasn’t long on my return trip before I saw Emily, and then Amy. Damn. They were close. Cue panic again along with the realization that I wasn’t even 1/3 through the race. I started playing the game in my head “how many miles can I make it before I’m caught”. I know this is a dumb game to play but it’s my way of setting mini-goals 😉 It must’ve messed with my mind because during the entire climb I was struggling. My legs felt weak and I was feeling overheated and dizzy on the steep climbs however I wasn’t sweating and I had goose bumps. This can’t be good. I thought maybe I should cut back on the effort but also realized how little effort I was already putting out. It was all very confusing. My hands and fingers were really swollen. I couldn’t remember if that meant I had too much salt or too much water. How could I have too much of either? I remember wishing Jay was here so he could tell me which it was and I could fix it. I sustained several cuts on my legs through this section and I was sticky with blood. My left knee cap was covered in blood and every time I put my hands on my legs to power hike I was making it worse. The cut wasn’t bad at all – it just bled a lot. I was chalking this section up to being the worst part of my day, and it was still so early. Let me just make it to mile 30 before I’m caught. I was elated when Whetstone was behind me and happy to be back on the roads for the next 4 miles so I could recover. 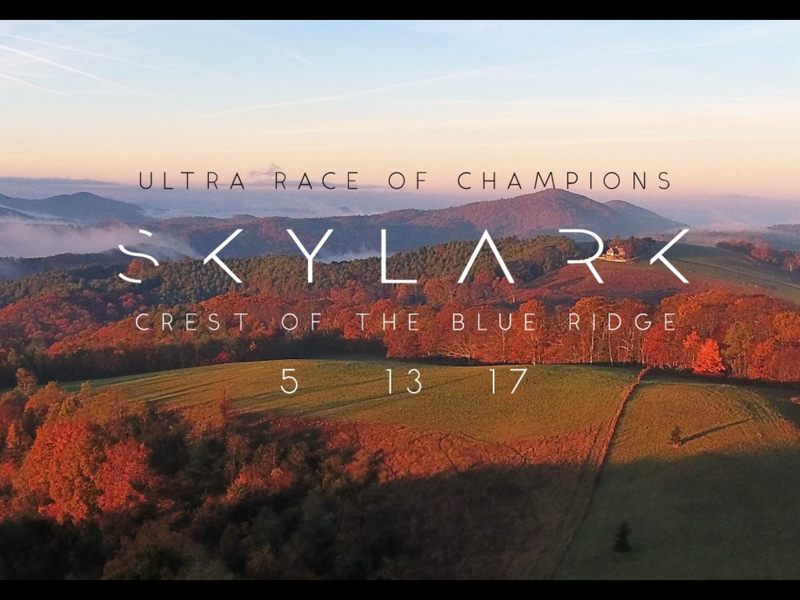 We made our way onto the Skylark property and had to climb ever-so-close to the finish chute. That was a tease. It was nice to run on some open grass fields as we toured the beautiful property on our way back out onto the Blue Ridge Parkway headed to Bald Mountain. Once we arrived it was back onto the trails. What I remember most about this section was how painfully slow I was going. 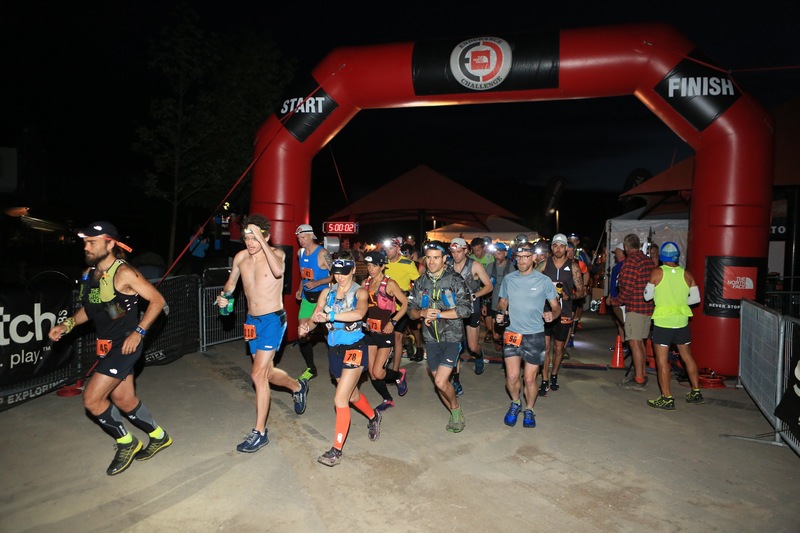 There wasn’t a whole lot of elevation change but the trails were plastered with sharp rocks that were looking for any opportunity to end your race. I normally enjoy this kind of challenge but wasn’t in the mood for taking risks, again saying that it’s way too early in the race. Eye on the prize – finish. This led me to hike a lot of this section. I hiked, and I felt terrible for hiking. In hindsight it was smart but it still hurt my ego. This was definitely where I would be passed. I don’t recall much more of that section. I remember making our way down to some falls before another steep climb out of that valley. But the rest is a blur. Mentally I was focused on making it to the aid station at mile 53. That was where I would grab my bottle of go-go juice for that last 10.5 mile push to the finish. I was pumped to arrive at AS8 where I was greeted by the kind couple who I met before the start. They came down from CT to support their son and they were cheering for me at every opportunity. I asked how their son was doing and they told me he was doing great – and actually wasn’t that far behind me along with the next female. If they said anything else after that I didn’t hear it – my mind was fixated. I didn’t ask how far back she was – I never asked where she was all day because that’s one mental game I don’t like to play. I filled one bottle, swapped the other, and said my goodbyes. It was time to work. The aid station volunteer told me it was 6.4 miles to the next aid station after climbing Mt Bald. I audibly whimpered. But I had a new fire in me. I made it 54 miles and I did not want to lose my position this late in the race. The next few miles turned out to be my favorite of the race. I don’t know how many times we crossed streams – it had to be at least 6. Many of them were knee deep or higher. Sure they slowed you down but the cold rushing water felt great on the legs and it also washed off the blood from multiple cuts. I knew that if I could maintain this momentum and determination I could hold 2nd place to the finish. And then I hit Bald Mountain. Or rather Bald Mountain hit me. The climb was steep and never-ending, and it was quickly sapping whatever I had left in the tank. I started to get dizzy and wobbly on that narrow single-track and all I could think was “if I fall down this mountain I will have to climb it again. I do not want to climb this again.” And so I focused. My hamstrings clocked out for the day. Like “hey, we know we have to stick around for the rest of the day but don’t expect us to do any work.” Not only did Bald Mountain drain the energy out of me, but it also drained my watch. No more data to rely on. After what felt like an hour I made it to the summit and that final aid station. I grabbed a cup of coke, a handful of pretzels because I was craving salt, and half-laid on the table for support while my bottle was filled. 4.2 miles to go. Half of this was road. “I got this” I told myself. I kept checking my watch on the road – I wanted to keep tabs on the distance I had left and what my pace was. I knew my watch was dead yet I kept looking at it hoping it would give me some reassurance. I also kept looking back – just in case. Halfway up the climb I passed some of the male finishers who were at their cars cheering me up the climb. Then I saw Amanda hobbling back down from the finish. I was happy to stop and congratulate her on my way up. Yep, that was my finish – stop and have a quick chat. One more turn and the finish line was finally in sight. I crossed the line and Francesca asked if she could take my picture. So I made one last effort of the day – to look like I was feeling great. Then I proceeded to the bench where I collapsed between 2 other finishers. I thought to myself “I don’t think I’ve ever smelled this bad in my life” which kept me from sitting too long. I spared the 2 guys and quickly got up so I could start my hobble back down the hill to my car. The course was tough. I definitely underestimated it in more ways than one. But then again so did many people as the web site claimed 7,202 feet of climbing while watches confirmed 12,000. But hey, who wants an easy ultra? We wouldn’t be doing this if it was easy. 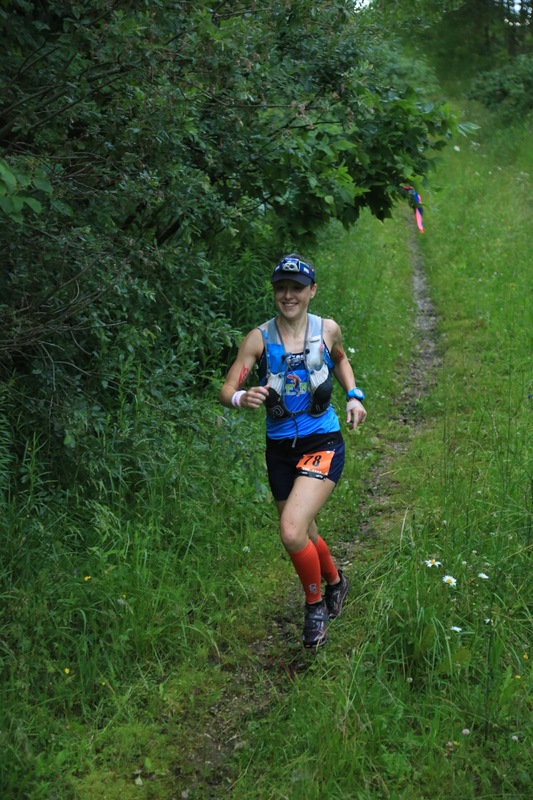 As with every race I have some takeaways to work on – it’s all part of the process (and the fun). 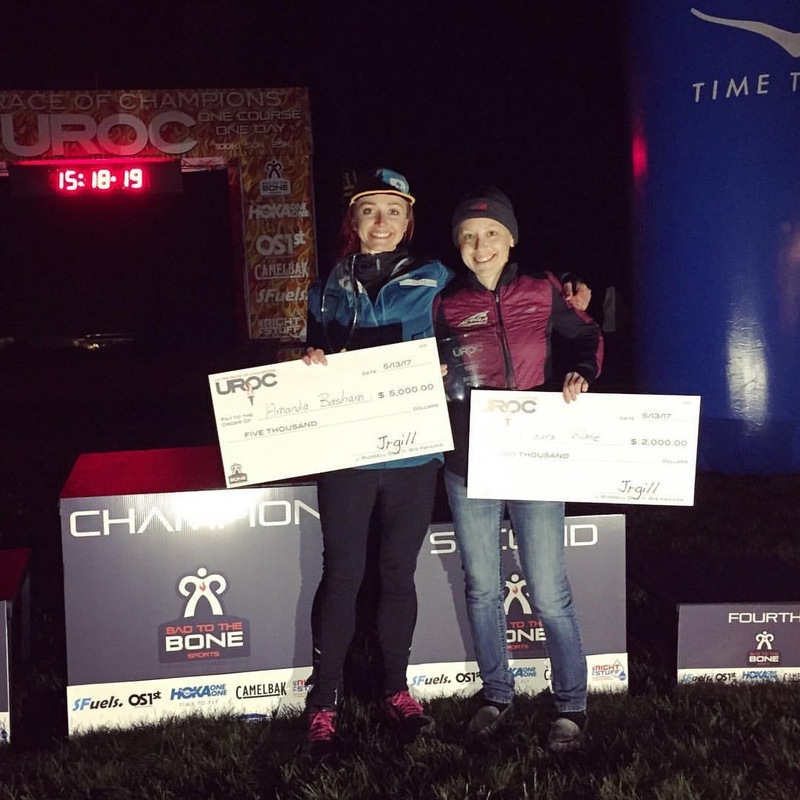 Gill and Francesca created a challenging yet beautiful course and a well-run event. Their passion for this event is evident. I would definitely go back to give this course another go. 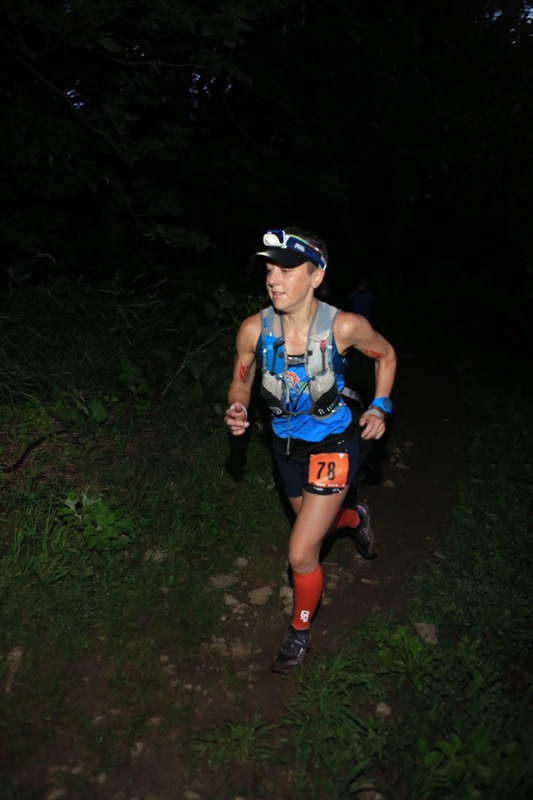 As I wrote in my product review, Muir Energy was my fuel of choice for this race and it worked well for me. With the variety of flavors I never tired of them. Luckily I brought plenty of extra for my drops because I was finding that I had no appetite for solid foods and only wanted Muir. Since this product is working so well for me I am happy to announce that I have partnered with Muir Energy to fuel my future races! 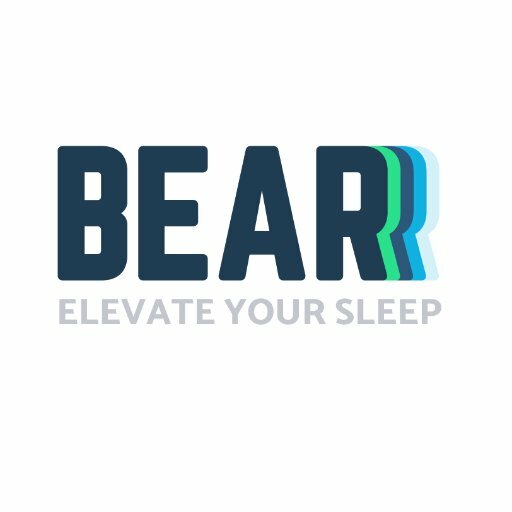 (insert shameless plug –> discount code for those who want to try it out –> LK10OFF) P.S. Passion Fruit Pineapple Banana is still my favorite! 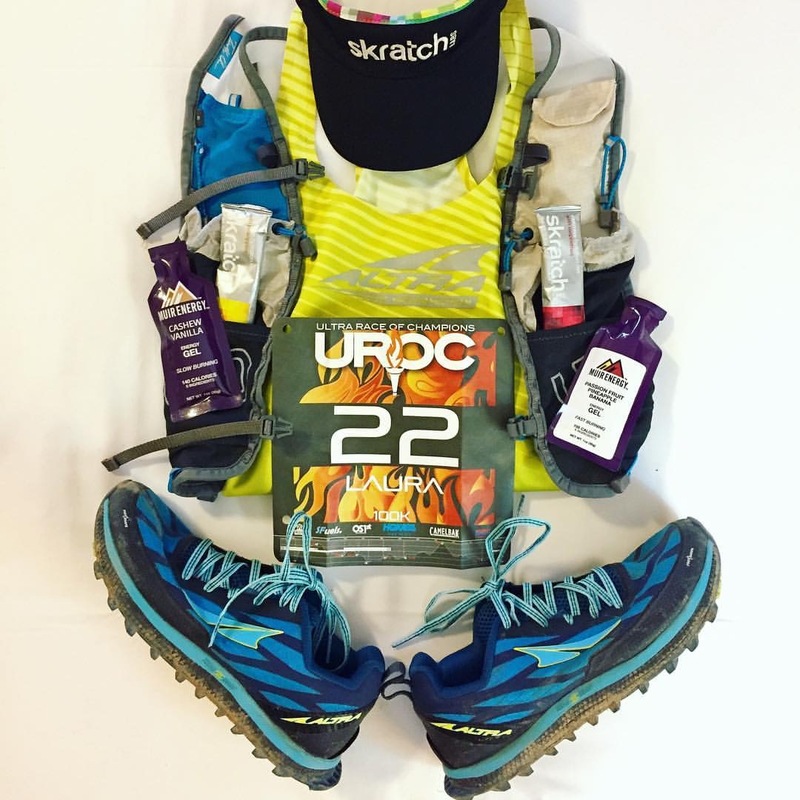 As usual I relied on Skratch Labs Exercise Hydration Mix for my electrolytes throughout the race. One error I made was not bringing any of my beloved Hyper Hydration. With the forecasted weather I didn’t think I would need it but I was wrong. I survived without it but I’m sure it would’ve helped me in those later stages of the race when the sun was beating down and my skin was a solid layer of salt. First I have to give a shout out to Henry Klugh of Inside Track. When my local running store basically told me “too bad” when I inquired about a rain shell I knew that I would have better luck at Inside Track in Harrisburg which was conveniently on the way. And that’s why I love small running stores – Henry went into the back, climbed the ladder, and went digging through boxes until he found his rain gear. He hooked me up with the perfect rain shell – lightweight, packs into its own pocket with a hand strap for easy carrying, and it matched my singlet, Altra Superiors, and even my drop boxes. Stylin’! Even though I didn’t end up needing it, Henry took great care of a fellow runner and eased my mind. 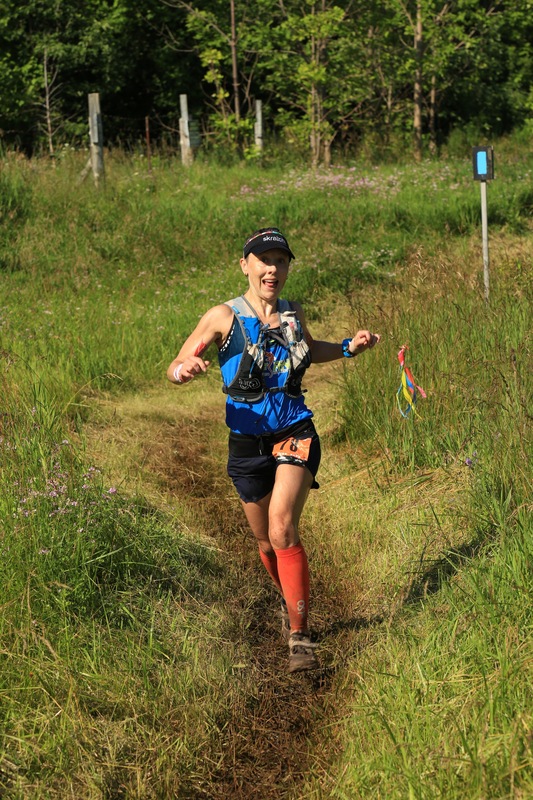 The Altra Superiors are my go-to race shoe on the trail. Although the King MTs would’ve been great for the technical parts of this course, due to the amount of road and gravel they would’ve been too much. 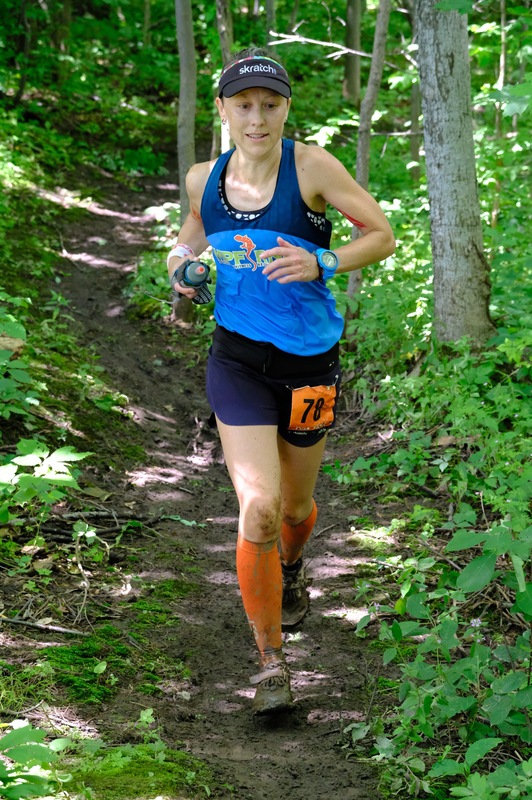 I’ll get to race in the King MTs soon enough – and I can’t wait to put those bad boys to the test! I also wore my trusty Ultimate Direction TO Race Vest 3.0. Enough pockets to store needed nutrition between drops, and it’s quick and easy to swap out my bottles or refill them when needed. Yes, I’m stubborn. This was evident on the day of the Boston Marathon. While I realized pretty early on that my sub-3 goal was slipping away I still tried up until the very end to reach it. I was feeling worse each mile after 20 but the thought never even crossed my mind to just back off and enjoy the ride. I knew I would regret it if I didn’t try. So much for all that hot air when I talked about how I wasn’t going to do anything stupid to reach my goal. I always like to think that I am a smarter racer after my heat stroke – that I pay more attention to my body while I’m racing. 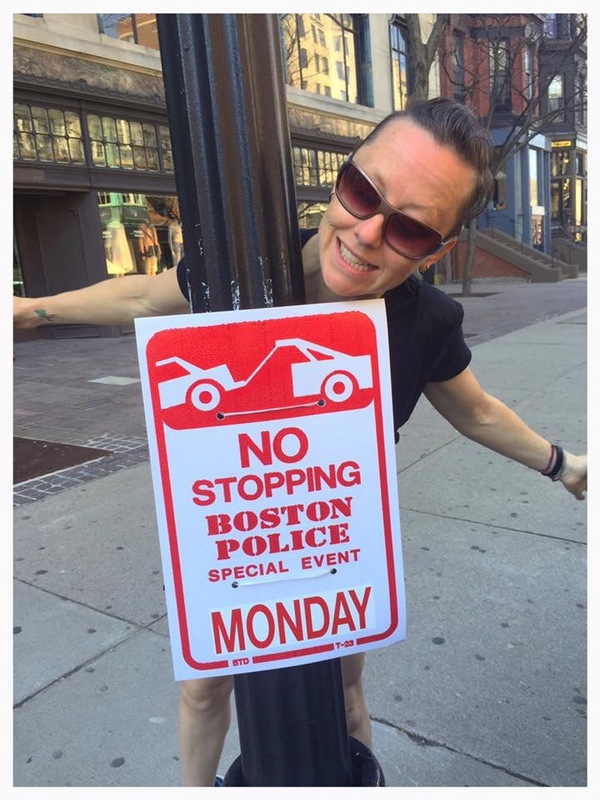 The Boston Marathon was a day of dancing right along that edge. I ran those last few miles scared and desperate. I wanted to enjoy the sights and the crowds but everything was a blur. I could only focus on that gigantic finish line that didn’t seem to get any closer. 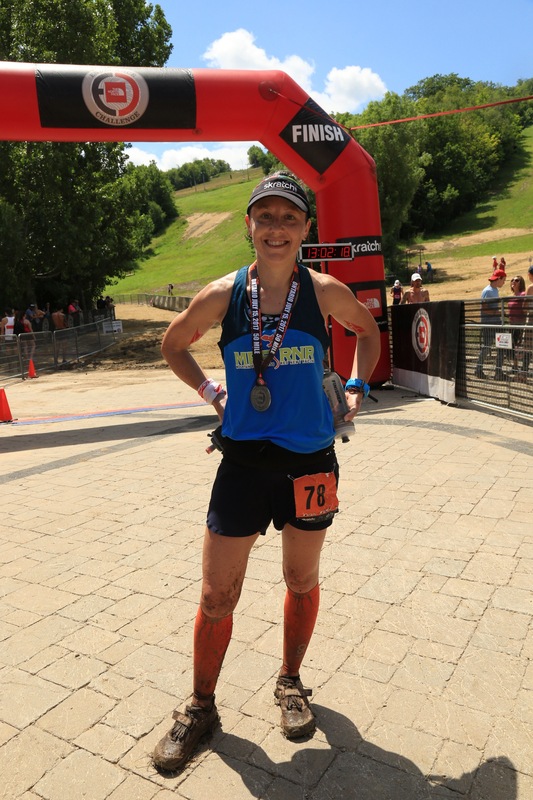 I couldn’t think to shut it down and take it easy – I wanted to cross that finish line as quickly as possible so I could finally succumb to the heat and cramps in my legs. 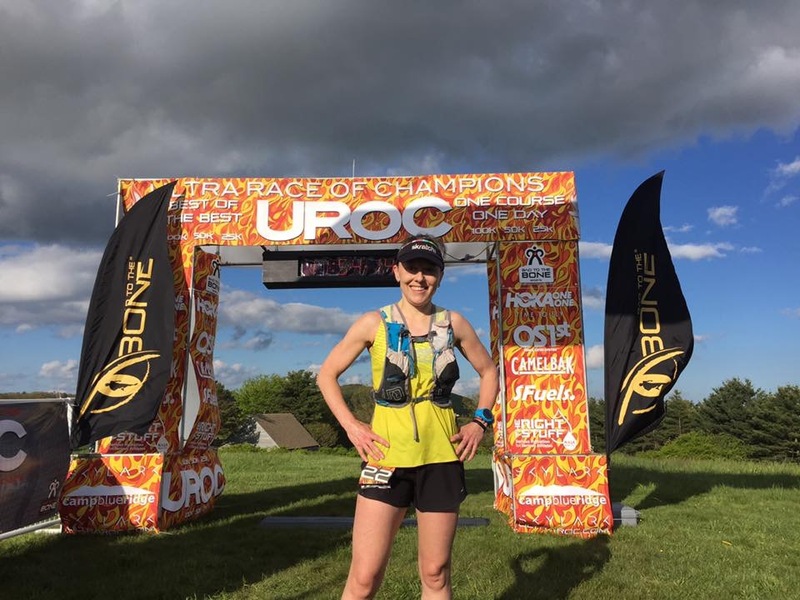 Strategy: I had a pretty loose race plan – I wanted to run the first half conservatively, run a steady 8 miles after that, and once I hit mile 21 I would crank out hard miles to the finish. What I learned is that the first 10k was really tough to gauge. You’re caught up in the crowds making it hard to find and hold a steady pace. A lot of bobbing and weaving, slowing down and surging into open pockets. I took advantage of this to keep myself from going too fast which I’ve heard is often the case. I also took advantage of this time to deliver high-fives to many of the spectators holding out their hands. I know for a fact I’ve never slapped so many hands! 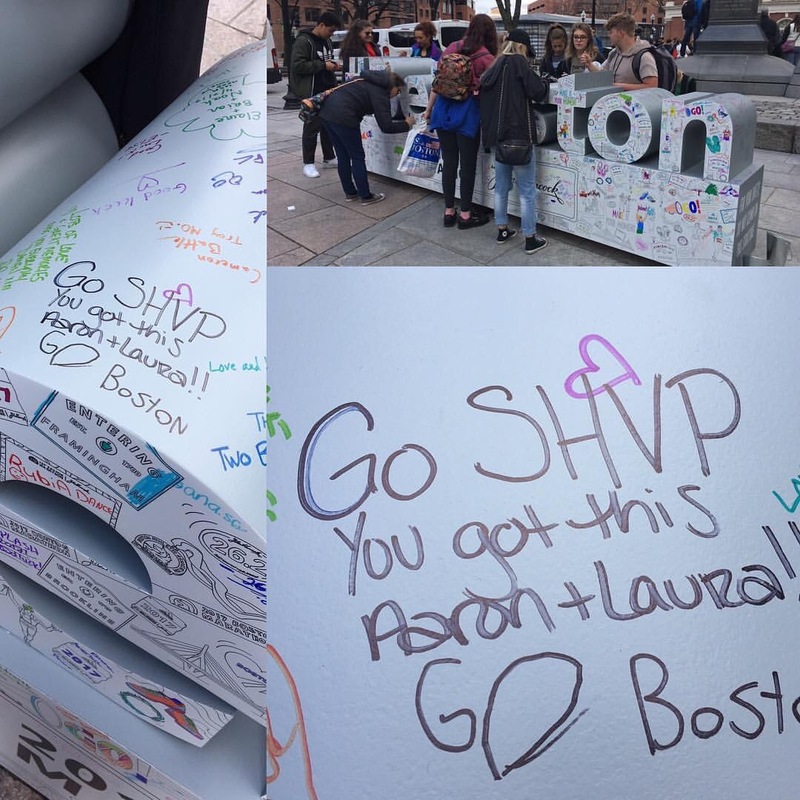 I was really looking to have a true Boston experience – I wasn’t even paying attention to my pace or splits, and I was okay with this. Wellesley College Scream Tunnel: This section lives up to the hype and was by far my favorite part of the day. The energy of these girls, the signs they display, their cheers to the runners, and kisses they dole out to any and all takers can only put a smile on your face. 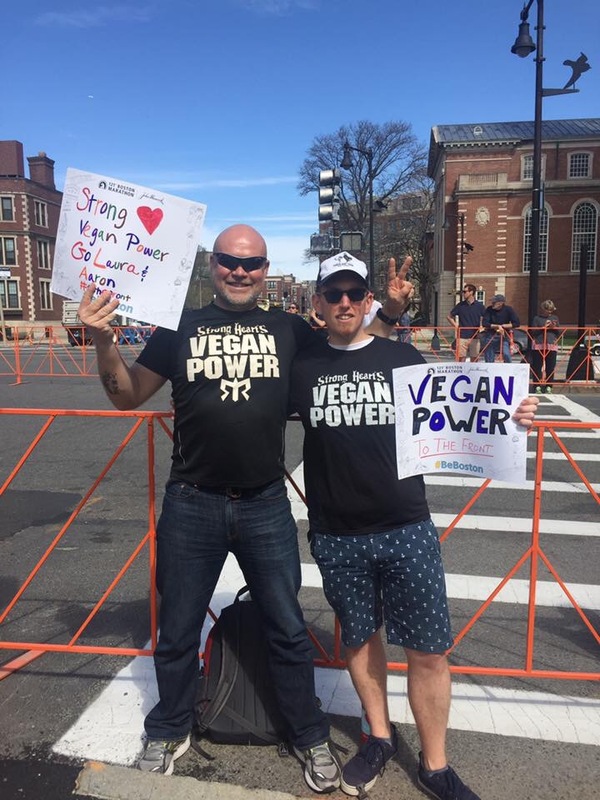 Strong Hearts Vegan Power teammates: There was an estimated 1 million spectators at the race Monday. I made it to mile 17 before seeing someone I knew. Teammate Marie was at the Nuun Hydration tent and it was great to see her smiling face. 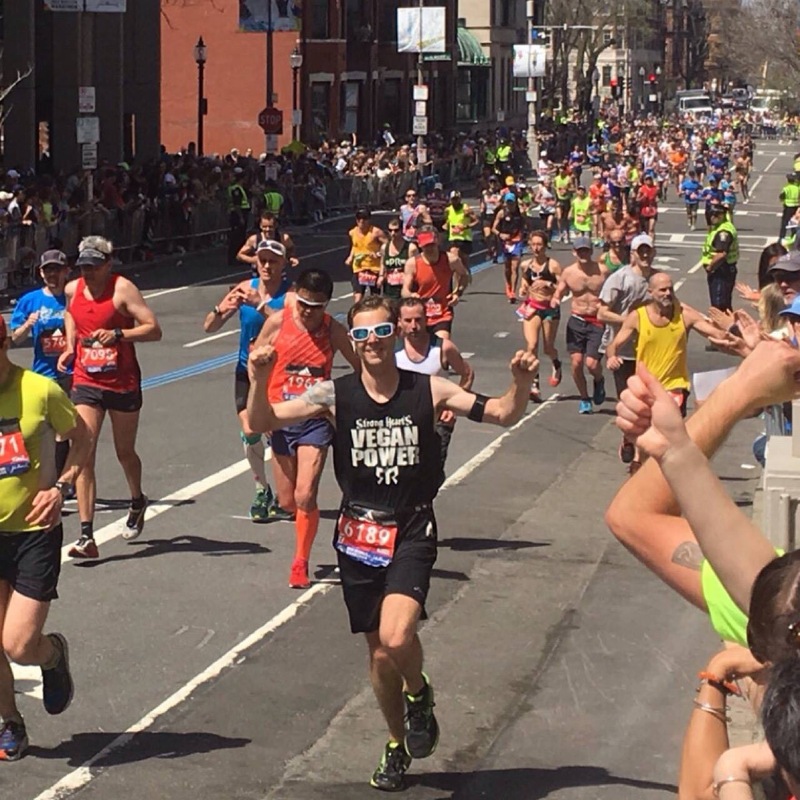 Then when I was at my lowest both physically and mentally, right around mile 25 I happen to look up and see those familiar Strong Hearts Vegan Power shirts on the screaming, smiling faces of Dana, Jay and Alex. They have no idea how much it meant to me to see them out there with signs – I only wish I would’ve had the energy to make my way over to get some high fives! Although I missed him on the course, I have to give the biggest thank you to teammate Skott. He not only offered up his home to me before and after the race, but he drove me everywhere I needed to be throughout the weekend. Not having to navigate public transportation to get to the shuttles race morning made it super easy and stress free. The Strong Hearts Vegan Power family is the best! Skott even got us rockstar parking for the expo! I also saw fellow runners Jonathan, Mike and Mark before the race and got to start alongside my good friend Giuseppe! Now for that finish… When I hit mile 21, with slightly sketchy math I figured I could still run sub-3. I was going to need to hit a sub-7 pace for the last 5 miles but it was all downhill so that should be easy right? I knew what I had to do but I wasn’t checking to see if I was executing it. I was so focused on running that I couldn’t look down at my watch to see my splits. It was taking total concentration just to keep from falling apart. The affects of the heat were appearing all around. I saw a guy projectile puking orange (they really need to serve something other than Gatorade out there). With about 2 miles to go I saw a girl collapsed on the side of the course being tended to by medics. “That’s not going to be me” I convinced myself. As we cross over the 1 mile to go mark I see a guy on a stretcher as the medics are rushing to shove a 10 pound bag of ice under his singlet. ONE MILE TO GO. 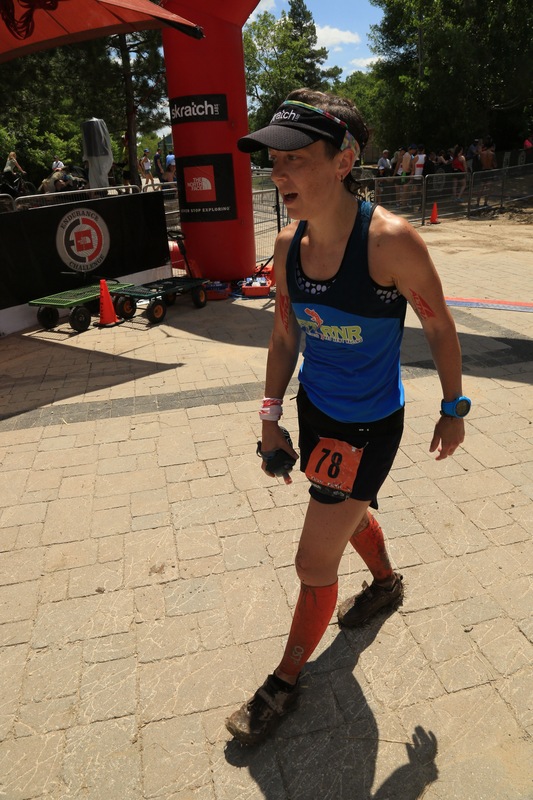 That’s when I started panicking – remembering my past experience and how quickly you can go from running to a puddle on the ground. I started repeating in my head “You cannot collapse. You can collapse after you cross the finish line.” Then I remembered to do the mental check and repeated my address and phone number in my head. Rounding that last turn I pass a cart carrying another stretcher with someone who was transformed into an ice burrito. “You cannot collapse”. The only time I glanced down at my watch it said 3:01 and some change. Goal was not met, but I still couldn’t ease up and enjoy Boylston Street. 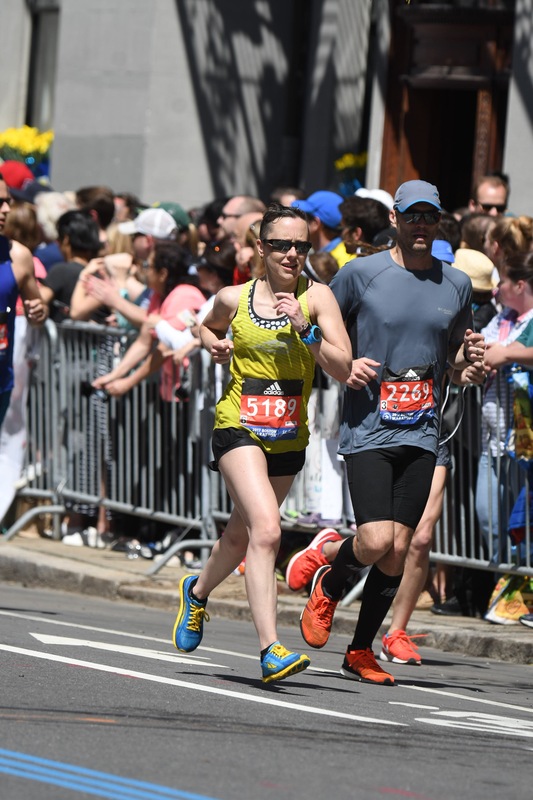 I even remember saying to myself “this is the final stretch of the Boston freaking Marathon – soak it in!” All I was able to do was look up for a moment and say “oh hey, that’s where I ate lunch yesterday.” And that’s what I remember of the Boston Marathon finish! I of course also thought about the events that transpired on that stretch 4 years prior. You can’t help but feel a deep sadness for all who were affected that day and even still today. And a deep appreciation for the huge amount of work that occurs behind the scenes to ensure the safety of the runners and spectators. I think everyone would agree that struggling with the heat is a blessing! Teammate Aaron Zellhoefer repping Strong Hearts Vegan Power, and ALWAYS smiling! As for my race, no regrets. I put it all out there which is the way I like to race. I ran with heart and joy like I said I would. I enjoyed and appreciated the intensity of the crowds. I smiled as much as I could. I was 3 minutes and 25 seconds over my goal time. I did not run a single one of those last 5 miles under 7:00 pace. I am okay with my result. 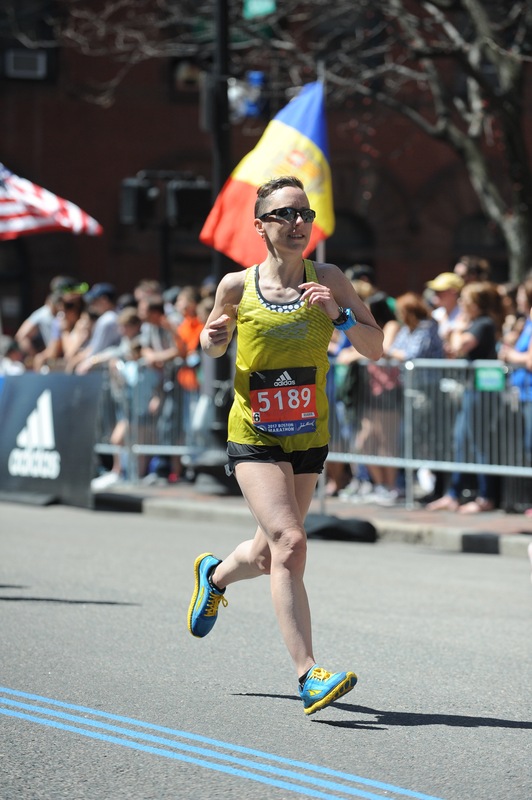 I am honored to have had the opportunity to race the Boston Marathon and humbled by this event. The entire community, what they have endured – it’s incredible to be a part of it! I ran in the special edition Boston Escalante which I picked up from Altra founder Golden Harper himself the day before the race. I didn’t run (or even walk) a mile in those shoes prior to the marathon. Although that’s a huge no-no it’s a testament to how much trust I have in Altra’s footwear. They served me well on race day and not a single blister even after enduring endless cups of water and a jaunt through an open fire hydrant. And with the conclusion of the Boston Marathon it’s time to get back on the trails! I’ll be celebrating with my week of spring training in New Mexico next week as I prepare for the Ultra Race of Champions 100k in May.